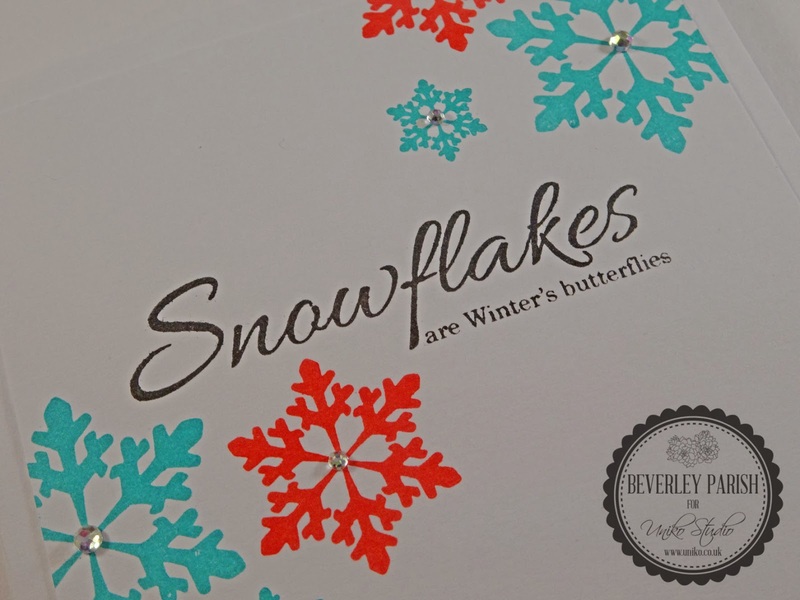 Today, I get to introduce two of my favourite products of this release, Designer Dies Snowflakes & Stunning Snowflakes clear stamp set. These are NOW available to purchase at The Paperlane! I decided to create a CAS country rustic feel on my cards by using Kraft & Cream card stock mixed with some linen thread. 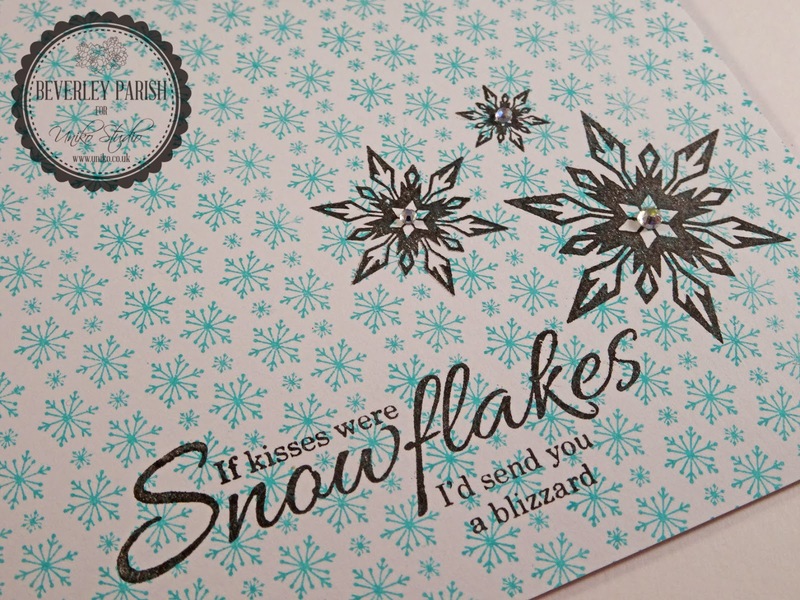 I started out by stamping the snowflake strip from Background Builders: Christmas in Vintage Cream ink & the sentiment from Peace On Earth (more on this later in the week) in Chocolate Chip ink. I then wrapped some linen thread around the layer and created a loopy bow of thread to place behind the die cut snowflake. 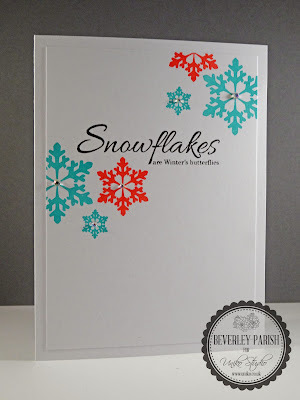 This time I switched the card stock colours around and layered the medium & small die cut snowflakes. 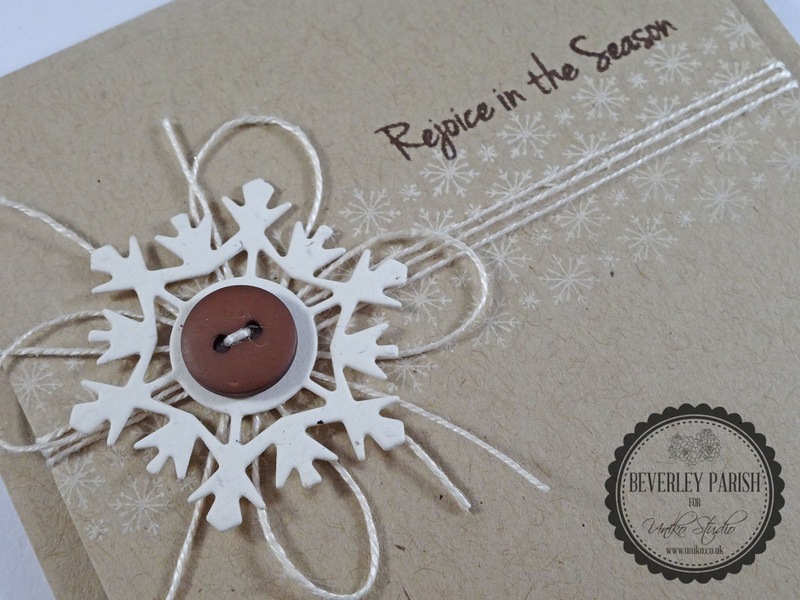 The sentiment is also from Peace On Earth, which you will get a closer look at later in the week. 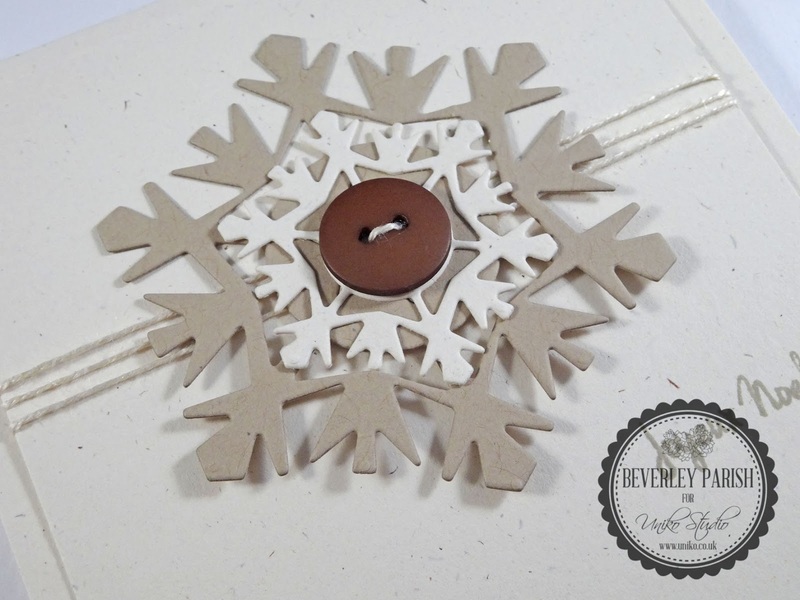 This first card is a one layer card, perfect for mailing out and it didn't take too long to create. 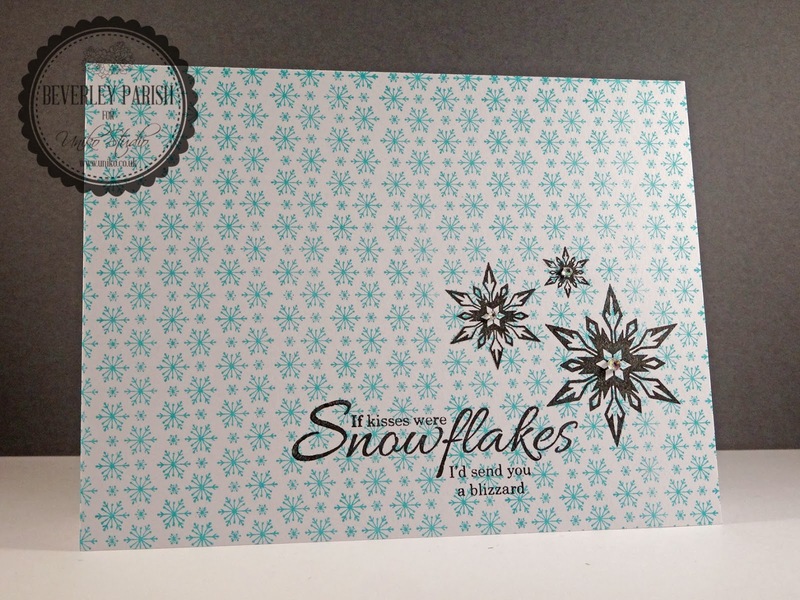 The most time consuming part was stamping the snowflake background. 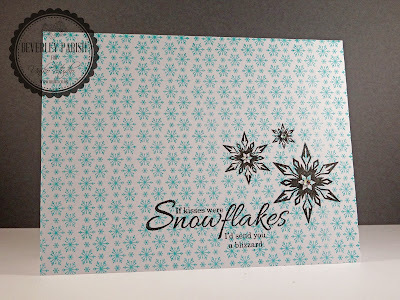 I didn't time myself but this card didn't take me more than 10 minutes to make. 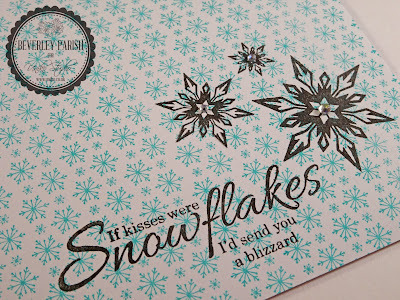 The snowflakes are stamped in Turquoise Gem & Red Magic VersaMagic ink which Caz has in stock, it stamps beautifully.